Soak it up! 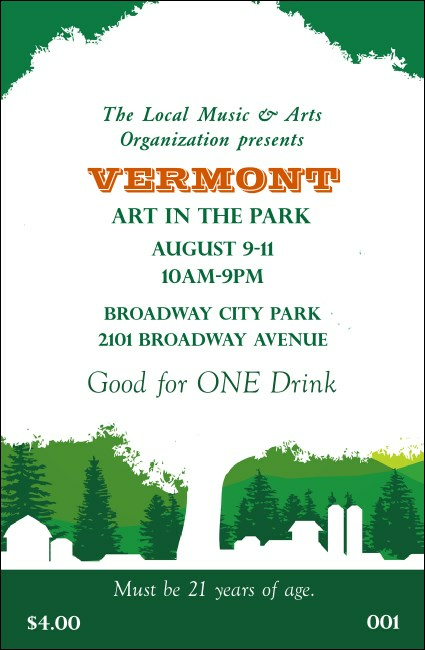 If you've put down your roots in the Green Mountain State, you can drink up a little extra revenue by selling the Vermont Drink Ticket in conjunction with your next local event. Printed in rich, warm shades of red and orange, this Drink Ticket is securely numbered and just as sweet as maple candy. Refresh your bar sales with Drink Tickets from TicketPrinting.com.